What if you could invent your own perfect virtual friend on the internet? What if that made-up creation was so realistic that the person actually appeared in your life? This interesting concept comes alive in John Faubion’s novel, Friend Me. At three hundred and sixty-eight pages, this Christian suspense fiction targets those interested in artificial intelligence coming to life in the social network setting. Having no profanity, the topic of adultery along with references to murder and violence would be appropriate for mature readers. With two pages of reviews at the beginning, the end includes a book description, discussion questions, book club activities suggestions, and questions to the author. In this current-day tome, Scott and Rachel Douglas appear to have a perfect Christian marriage where he works long hours in securities trading while she is a stay-at-home mom taking care of their two young children. Feeling lonely and unappreciated, Rachel finds herself on the internet, visiting VirtualFriendMe.com where she willing sets up a free account, creating the splitting image of a deceased best-friend she lost years ago. Although she knows the apparition is not real, she easily builds a relationship, divulging her emotions and secrets to the computer screen. When she shows Scott how real her virtual friend appears, he decides to create his own online confidant. The minute he selects the female choice he succumbs to being unfaithful to his marriage vows and gets caught up with an image named Angela, who consumes his thoughts. VirtualFriendMe.com’s senior program designer is Melissa Montalvo, a strong, self-determined, and obsessive woman with a hidden past. Since she has secretly programmed to find her perfect romantic match in the system, she becomes compulsive, possessed, and fixated when Scott’s profile matches everything but his marital status. Determined to find her “virtual love” she fanatically overtakes both of the Douglas’s accounts by acting like their virtual friends, learning their strengths, weaknesses, personalities, frustrations, and deepest secrets. As the world crumbles around the married couple, they have to ask God for help in staying one step ahead of the crazed Melissa as they try putting the pieces together before she sinisterly destroys their relationship. As Faubion’s first novel, the concept of a virtual vision flows cleverly and realistically within the storyline, especially in regards to a person being unfaithful in marriage. Although sometimes predictable, the twists and turns cause the reader to question how much damaging information can be gleaned on social media sites. Thanks to Simon and Schuster for furnishing this book in exchange for a review based on the reader’s opinions. This review will be posted on DeeperShopping, Bookpleasures, and Amazon with links on Bookfun, Facebook, LinkedIn, and Pinterest. 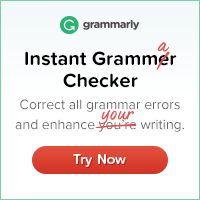 * I used Grammarly’s grammar check and so should you!